There's nothing better than a statement necklace with a casual t-shirt like the one I am wearing here in this picture. 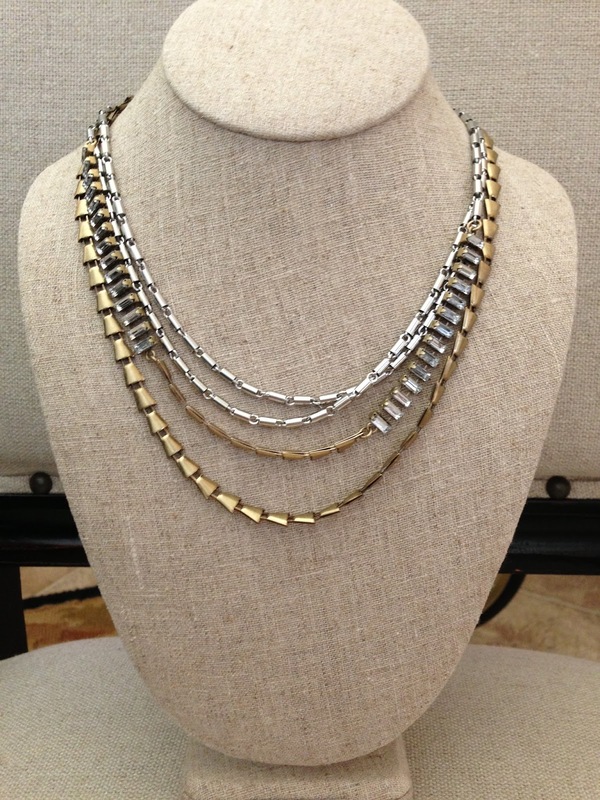 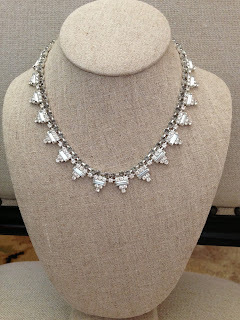 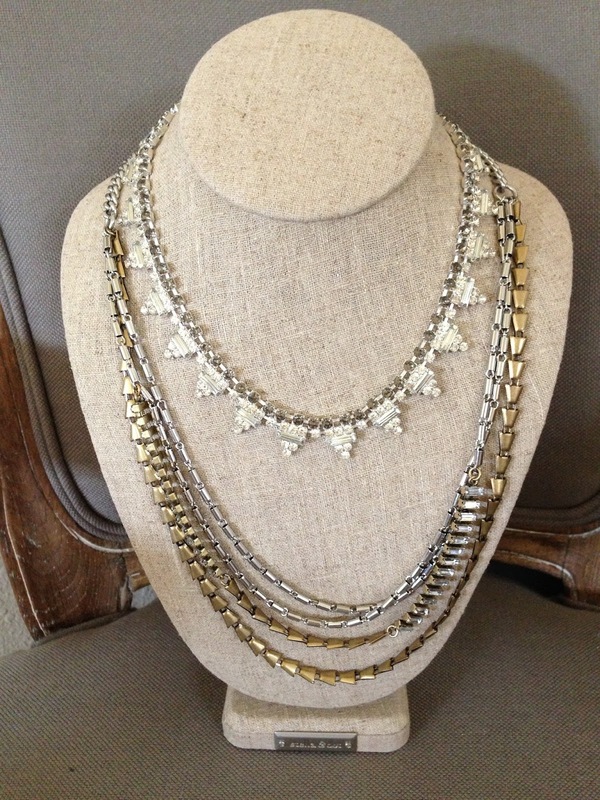 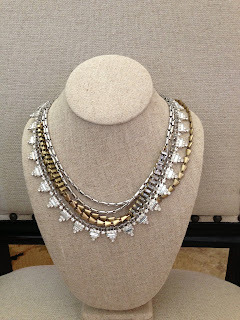 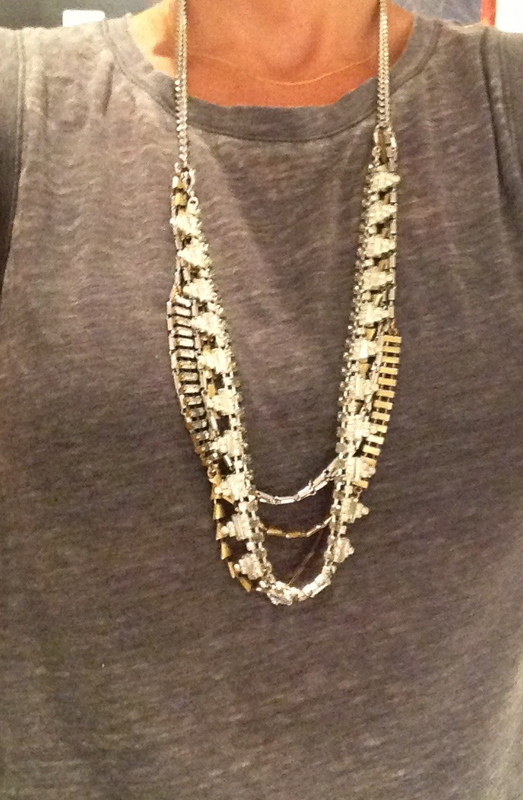 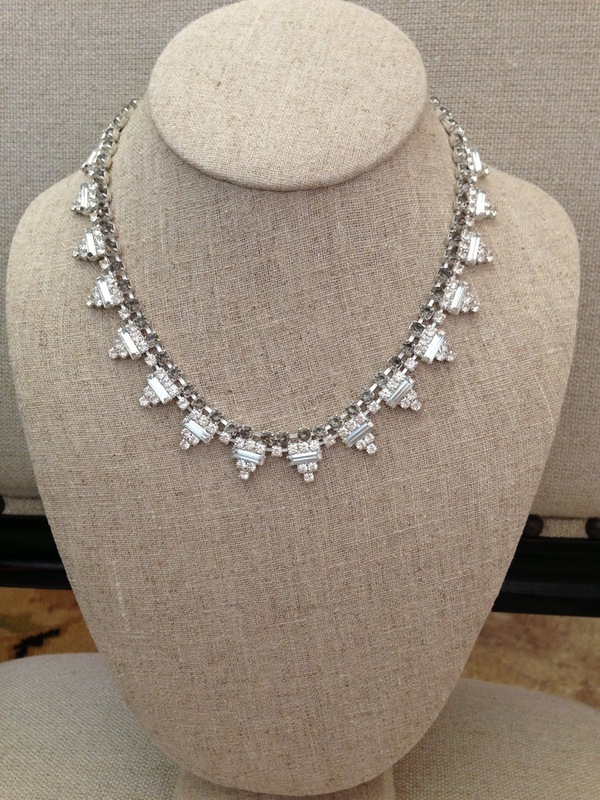 This is the Sutton necklace by Stella & Dot that I'm wearing and it can be worn 6 ways...yes 6 easy ways. 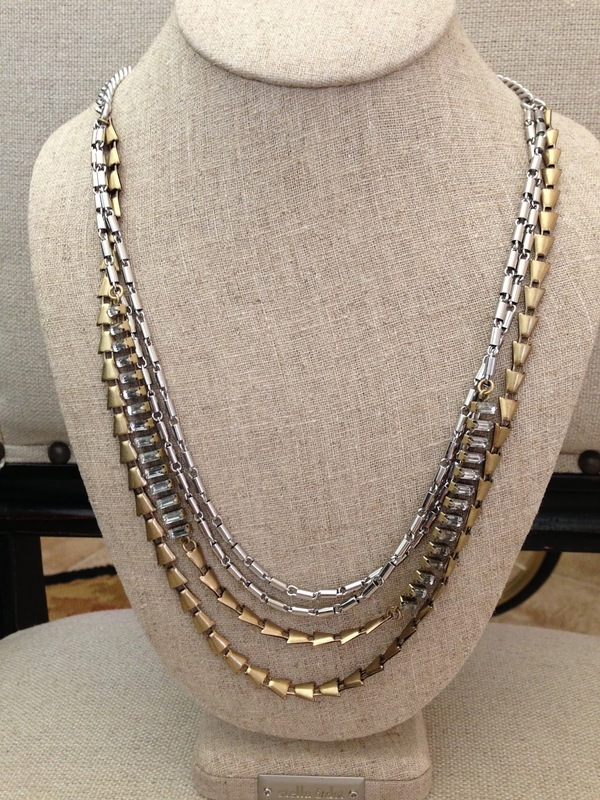 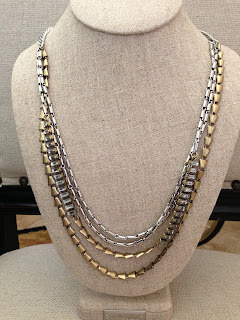 I am loving the texture and sparkle plus having both finishes makes it easy to wear with anything.